This package includes LaunchPad and Paperback and Paperback. This package includes Paperback and WriterKey. Demonstrating how active reading and exploratory writing bring fresh ideas to light, Writing in Response helps you become a better academic writer. 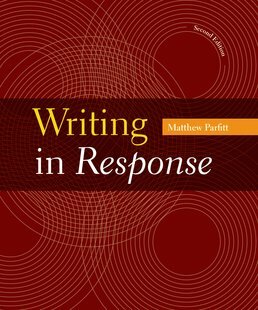 Teaching you to develop informal response into polished, documented prose, the text focuses on key techniques common to reading, thinking, and writing throughout the humanities and social sciences. Built around best practices for feedback and revision, WriterKey puts student writers at the center of your course. "What Does the Professor Want?" Why Do College Instructors Assign Writing? *Partial Analytical Outline of "Be a Gamer, Save the World"
What Are Scholarly Journals and Articles? *Nicholas Carr, Is Google Making Us Stupid? *Rana Foroohar, What Ever Happened to Upward Mobility? 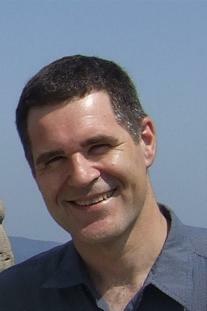 Matthew Parfitt (Ph.D., Boston College) is an Associate Professor of Rhetoric and Chair of the Division of Rhetoric at Boston University’s College of General Studies. In 2002 he received the Peyton Richter Award for interdisciplinary teaching. He is coeditor of Conflicts and Crises in the Composition Classroom—And What Instructors Can Do About Them and Cultural Conversations: The Presence of the Past.